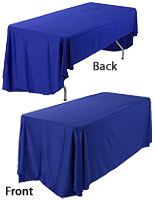 These Fabric Table Skirts in Blue Come with Foldable Tables! 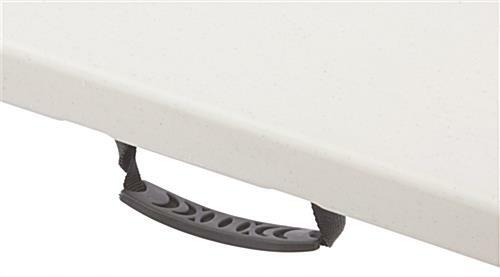 The Tabletop Surfaces Even Fold in Half for Easy Transport! 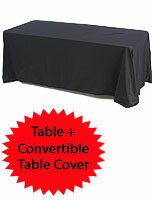 Buy an All-Inclusive Set of Table Skirts and Tables for the Next Trade Show! 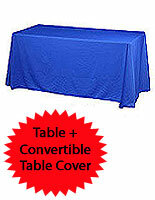 These trade show tables with table skirts feature foldable countertops to simplify transportation. The portable displays collapse down to a 36" x 30" size, so users may carry them using the attached plastic handles. Simply collapse the legs and fold the tabletop in half! Trade show tables with table skirts are 6-feet-long display stands you can use multiple times, as they are also durable and sturdy! 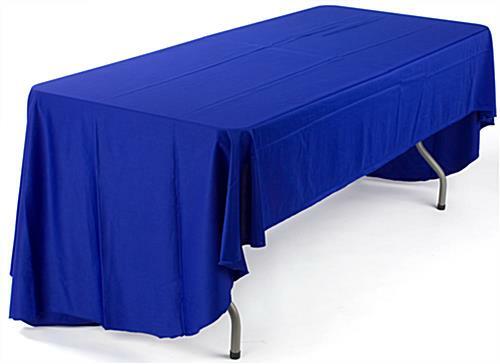 Trade show tables that include table skirts have a durable, molded plastic surface for displaying and highlighting a variety of merchandise or literature within an exhibit. 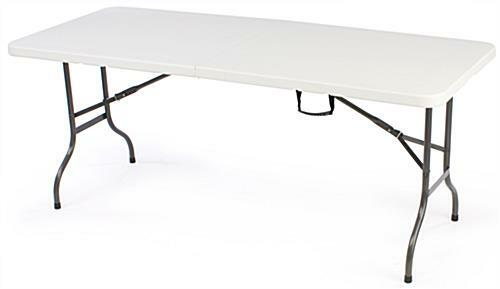 These collapsible tables also feature metal brackets to increase stability when set up. 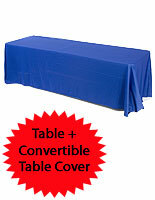 The trade show tables include blue, polyester table skirts to create beautiful presentations. 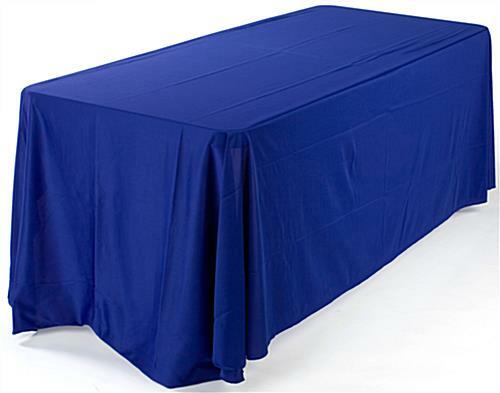 The tablecloths are three-sided, leaving the backside open for chairs or easy access to storage. These presentation displays are ideal for trade show participants who frequent a great deal of exhibitions. 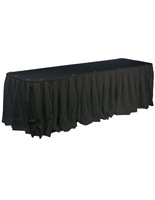 Not only will you save money on rental equipment, but also you will feel secure in knowing your tables and table skirts are sturdy, hard-wearing and attractive.